Hi everyone. 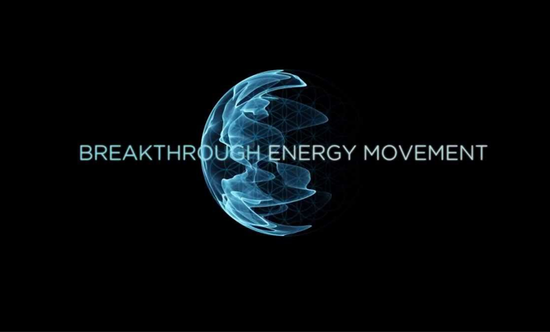 I wanted to take this opportunity to give you a report on an incredible adventure that our associate from Thrive, Goa Lobaugh, and I had last week, October 10–12, when we attended the 2nd Annual Global Breakthrough Energy Movement conference in Boulder, Colorado. First of all, there were adventures around the conference itself and I really want to acknowledge the team (Jeroen and Madi Van Straaten, from The Netherlands, and Robert Dupper and the rest of their team) who handled just unbelievable challenges to pull this thing off. First of all, they had had all of the floods in Boulder, which curbed a lot of people’s enthusiasm about going there. The university got nervous about that and demanded all their payment upfront and they were depending on ticket sales. A local man stepped up who’s a big fan of the Breakthrough Energy Movement and offered his hotel at cost and suggested that they put up tents in his parking lot, which they did. Subsequently, in the next week, the entire event sold out. An incredible roster of people showed up that I’ll tell you about. But, the first night a giant rainstorm hit. The second night, a giant windstorm hit with teams up all night holding down the tents, literally, to keep them in place. So, it was quite an adventure, but the whole thing just turned into a fantastic success. And, first and foremost, it was about making and deepening connections. In the past in this movement, isolated inventors have been picked off, one by one, and threatened or harmed and, often, shut down by the powers that be that want to monopolize control of energy, both to control profits and to control people’s lives. But now, a whole new thing is emerging and people are wising up about connecting in large networks and joining skills and knowledge and protection. Let me give you a little bit of a sense of who was there because it was a phenomenal roster of talent and topics. Tom Valone was there, a longtime researcher into various alternative energy and electro-gravitic technologies at the Integrity Research Institute. Russell Anderson was there from the Searle technology team. They are also working on free energy and counter-gravity technologies. Moray King, who is renowned for his explorations in hydrogen technologies. Catherine Austin Fitts, who’s in the Thrive movie, was talking about developments in crowd-funding, particularly crowd-sourcing equity funding for these technology projects. One of my longtime heroes in the UFO/ET field that I had never met before, Richard Dolan, is one of the leading historians in this field. He talked on reclaiming our destiny from a lifetime of truth-suppression. His expertise obviously raises the question of “If they’re here visiting us (the ETs), how did they get here?” And then, Steven Ross is someone else I hadn’t met before who has been entrusted with certain artifacts from the Royal Rife archives, both equipment and lab notes about Royal Rife’s developments and the particular frequencies that he used and so forth, and he’s also been given exclusive rights to the notes from the work of a guy named Dr. Elmer Nemes, who, in the 1950s, developed the nemescope. This scope was thousands of times more powerful even than the Rife microscope. So, I was actually able to see for the first time pictures of atomic bonds within molecules and this was incredibly satisfying for me because I spent two and a half years of my life modeling what I thought it would look like if you could get down inside the molecule (and even inside the atoms), what the joining of these toroidal fields would look like, and Goa did a lot of enhancement of those images and effects for the Thrive movie as well. Then, James Martinez, who’s a long time media pioneer, who will be having his own regular show on The People’s Voice , the 24/7 truth channel that has been initiated by David Icke and his network and which will be premiering worldwide on November 18th. And also, as a wonderful surprise, David Icke actually skyped in and did a talk, a special report on his upcoming launch and also on his view of the importance of these breakthrough energy technologies. I got to meet Michael Tellinger, who I’ve talked about in many previous blogs, particularly the Good News Tuesdays. He reported on the technologies apparently seen throughout ancient cultures and he had a torus stone (he had images because he has actually left this stone with Nassim Haramein in Hawaii). But, there’s this toroidal stone that’s hundreds of thousands of years old with very interesting electro-magnetic anomalies. He also showed images of what he now counts in the millions of inexplicable circular structures throughout South Africa that also have significant electro-magnetic phenomena, indicating that they might have acted together almost like a giant circuit board for some agenda and intelligent species currently not known in our traditional history books. And then, Garret Moddel is a bold university professor who is openly pioneering the theories that might explain some of the technologies that we see working wonders while defying traditional scientific explanation. The bottom line is that we’re all finding each other at this time. And then there was a whole new generation of inventors that I’ve been following, but most of whom I hadn’t had a chance to meet yet. Jason Verbelli was there from the Searle network. Randy Powell, who took the vortex-based math of Marko Rodin and expanded it into 3-D where it maps out, as you might expect, the torus dynamic. Russ Gries, a very entertaining and lively young guy who’s got a big following in his open-source, open lab, online reports about the technologies that he’s developing. And also, Daniel and his wife, Erica, Nunez who are doing amazing things with electromagnetic coils. Josh Toms, a young dynamic guy who’s exploring the importance of understanding the geometry of the pervasive magnetic fields as clarified by a remarkable theorist and one of the guys that I admire most in terms of his fundamental understanding of how energy works. He is an educator and researcher named Jon Depew. Jamie Janover was there, presenting Nassim Haramein’s unified field theory. And, of course, our own Thrive colleague, Goa Lobaugh, did a gorgeous presentation on 3-D printing and how it can not only replace manufacturing and even distribution of technologies around the world, but imagine remotely located 3-D printers printing more printers that will then print more breakthrough energy technologies, so he was blowing minds with that one. So, be sure to check out all these various speakers online at the Global BEM site. The devices that were there are not the most complete or most advanced devices. It’s really not safe to bring those devices to this type of public meeting, but what people got a chance to see was glimpses of new approaches and also got a chance to meet many of the pioneers and hear from them who’ll be carrying forward the torch of breakthrough energy technologies across the globe. Also, I was excited to see a really strong media representation. Regina Meredith was there, founder of the Conscious Media Network and now of Gaiam TV. Sean Stone showed up. He’s the son of Oliver Stone, the documentary filmmaker and Hollywood filmmaker. Sean’s an accomplished actor and researcher in his own right. He was recently an onscreen investigator for Jesse Ventura’s Conspiracy Theory and also has his own show along with Tyrel Ventura called Buzzsaw now. Radio host, Duncan Campbell and Mitchell Rabin were there. Karen Elkins, I got to meet her for the first time. She actually publishes maybe the most beautiful magazine I’ve ever seen. It’s called Science To Sage and they have featured Thrive several times and the current issue features a multi-page description of the work of Jon Depew, this expert in magnetism. The whole event was hosted by both Mitch Rabin and the former rock star and a dynamic visionary named Sasha Stone who is the founder of Humanitad and also the creator of what’s called the New Earth Project, that we’ve also touched on in past Good News blogs. My talk, which I was just honored to give to this group, was on getting breakthrough energy technology safely and successfully out to the world. Let me just hit a couple of highlights of that because it kind of shows what’s happening in this field that is making it safer for inventors and more likely that all of us will get access to these technologies. One of the topics that I talked about was a map of the emerging new energy field, which I was able to put together with Goa and several of the BEM folks and Joel Garbon from the New Energy Movement. What we did was lay out the steps from a concept through the development of the technology, but also how to get out to market. That includes having secure labs and incubators. It includes really solid vetting, which Joel Garbon and a man from Australia named Mark Dansie are expert in and addressed very thoroughly how to separate the really solid technologies from the ones that are either hoaxes or just where they’re not being measured properly so aren’t what they’re actually portrayed to be. I went over the various funding strategies, and I’ll talk about that in a minute, but also the legal aspects and win-win business models, and then the networking and media aspects, which the Global BEM group is really one of the pioneers of because people are starting to realize that if the world is already informed about these technologies and these groups are networked with each other and we have win-win business models and security and ample funding and so forth, plans to market and distribute these technologies, then it’s going to be a whole lot safer for any single one to make it through. I use the analogy of a whack-a-mole. If there’s only one mole popping up, it’s probably going to get whacked, but if there coming out all over the world and with good security and solid business plans and plenty of funding, there’s much more likelihood that we’re going to all get to use these devices, and soon. Then I talked about the business model spectrum for breakthrough devices because people are always asking, “What’s the right way to bring these out?” Just like with alternative currencies, what I’m in favor of is a true free market in business models where people get to choose the one that feels right to them. That ranges from totally giving it away to giving it away on the Internet and being compensated by a philanthropist who wants to reward the inventor to open-sourcing it, but being able to recoup some funds on licensing and sales. We went into the issue of patents and the risks and rewards of doing public patents where the world gets to know about the technology, but no one gets to hoard it. Some people feel it’s safer to do foreign patents rather than starting in the U.S. I highly recommend people be very cautious about doing any patents before the technology is out of the toothpaste tube because that’s often times when it’s stopped. We talked about humanitarian business plans that are really win-win for the investors, for the inventors, and for the world, particularly areas of the world who wouldn’t be able to afford to necessarily be early adopters of these technologies. Then, there are conscious venture capital groups, which are really for the first time taking care of their inventors, letting them participate in the rewards from all of the different companies involved. The main point I wanted to make about this was that the artifact itself, a device, is obviously a huge historic game-changer, but I don’t consider it to be even the most important breakthrough because along with that, when you have a device that is accessing infinite, clean energy abundantly out of the plenum that surrounds us, that shifts the paradigm where everybody on the planet now gets proof that we actually live in a sea of infinite abundance, but even more than that, there are techniques to expand our own consciousness, our experience of who we are and our interconnectedness with an infinite, unified universe, that have been taught for thousands of years in the case of the Kototama tradition from Japan and, more recently, by the Monroe Institute. Both of these traditions (and more) are using the imagery of the torus to encourage people to visualize the torus aura around their bodies, the energy field, and then to chant or to intone or to drum or whatever to find the frequencies which resonate that torus in such a way that your consciousness recreates it and you literally expand out to the next level of awareness. A lot of what was so unique about this conference was that it wasn’t just a geeky tech conference. There was plenty of science and technology, but there was also the media and business aspects and the consciousness aspects and in the panel on the last night, we all got a chance to address that and one of the things that I said was that I was really moved by what I could only term at the time as the building of a global and even cosmic love-trust, a kind of a buffer zone of hands-on collaboration, but also protection in practical and inter-dimensional ways where, basically, we’ve each got each others’ backs. The energy was so clear and so strong everybody was experiencing it, particularly as it built towards that last day and the final panel. And then, people started sending around pictures of various orbs, these glowing balls of light, that were appearing in the room, and particularly over the panel on that last night that Goa and I both got to sit on. Below this blog, I’ll put in some links for anyone who’s not familiar with the phenomenon of orbs. They’re being seen all over the world. Clairvoyants have been seeing them for years, telling people to point cameras at them and often times they’ll show up on the film. Now, with infrared goggles and cameras, we’ve actually got video coming in from all over the world. I’ll put some of the links up for those who are interested. Finally, Goa and I got to meet with about a dozen different groups and individuals that we hope to be collaborating with soon in our Thrive Connect outreach where we’re a cosmic dating service matching up investors and philanthropists with inventors and also helping them get the consulting that they need in terms of legal, security, business, and so forth. In summary, I would say this conference bodes really well for the future of this whole field and for the planet. Next events are already being planned to be held in South Africa and at a new location in Colorado. So check the links, enjoy the pictures, and I’ll look forward to the next blog.